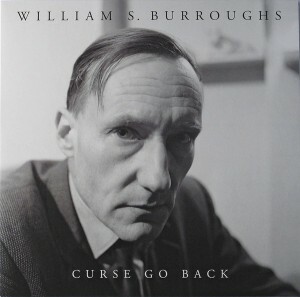 There are some recordings by William S. Burroughs that include chanting intended to reflect bad energy or a magickal attack back to its’ sender. I can’t think of anything more appropriate as we begin 2017 in earnest than this. Curse, go back indeed! What does a growing wave of far-right leaning governments, emboldened hate groups, and a seeming rise of general ignorance imply for the art world? That’s from a New York Times article by Scott Reyburn. To be clear-I personally don’t think there’s anything to look forward to come January 20 2017 when the inauguration begins. But there is a lot of speculation about what is going to happen to the arts in America and how the new right-leaning administration could challenge, censor, oppress, or otherwise try to stop dissenting voices. Many established artists with currency in the art world have made statements about their feelings on how money changes things, whether or not it is a corrupting influence, etc. I don’t need to repeat any of those things here, or reinvent the wheel when it comes to perspectives about the nexus of money, fame, and art. In 2017 that nexus should be questioned more, challenged more, and questioned yet again. The fact that we have an incoming administration populated by million/billionaires is troubling enough…but revelations that some of that money comes from the art world (as in Mnuchin’s case according to the NYT) should serve to inspire conversations and questions about this among artists, curators, dealers, etc. Not that “art money” is to blame for, well, anything, but since institutional critique is an important part of the arts it stands to reason that such things are probed and examined. I write that even as I contemplate changes to my own art practice to make my work more sustainable. Changing the content/substance of one’s art to make money isn’t what I’m talking about here, more about best practices to promote the work that I do and try to make it more visible out in the world. Art wants to be experienced, no? But I find myself questioning the larger environment that I live and work in as an artist. The old questions are still valid and relevant, but they are complicated by the new reality we wake up in starting January 20th, 2017. Is it wrong to earn a living from your work? Not at all. But I find it important to question the nexus of art and commerce all the same. I don’t have any answers except that we have plenty of examples of what can and does happen when money has too much influence. Is the volume of income from art problematic at some point? Is the ability to make art and use it as your sole income a two-edged sword in that doing so removes you from the “real world”? These are some of the questions I am asking in 2017.